It may sound silly, but the first main thing I notice is the heavy presence of cartoon’s figures and puppets: Spongebob, Kenny of South Park and five of the Barbapapa on top of the TV, as guardians of the CDs on the back. On the other hand, there are very ‘serious’ elements around, such as the many folders (documents? other records? photographs?) 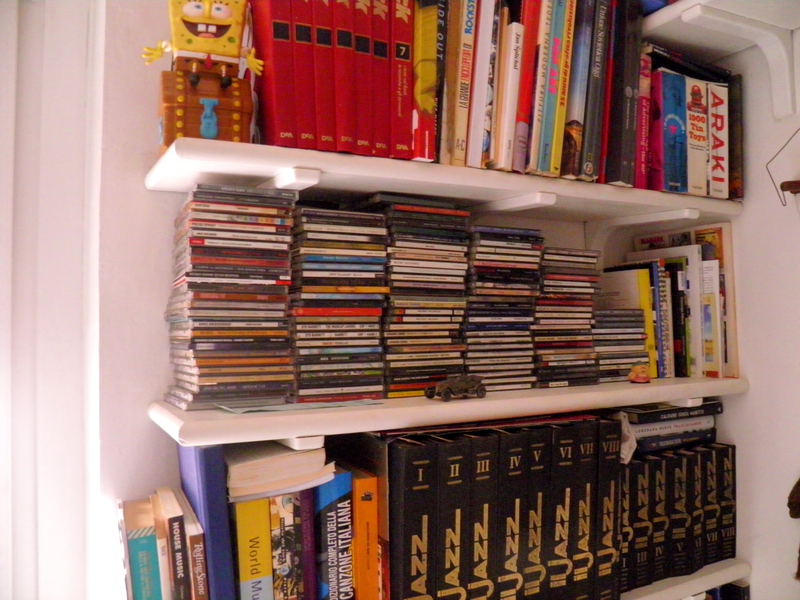 and the ‘Il Jazz’ encyclopaedia. Am I wrong if I see in this a sign of Maisie and also Snowdonia way? Playful things, colourful, bright, weird, but at the same time taken very seriously in terms of production and publication? No no, I may say that you got that right! All my artistic, human, cultural education is characterised by this mixture of elements in apparent opposition. I love the pop culture, the colours, the excess, the mocking, the weird, but also the night, the dark culture, the minimalistic rigour, the gloomy, the awkward. I can easily pass from Nekromantik to Disney classics, from a Nicola Di Bari record to one of Deuter or Egisto Macchi. Sometimes it depends on the day’s mood, I wake up and I need Steve Reich or I open my eyes with the irrepressible desire of listening to Fiordaliso. But most of the times I want all of these things together, so I frenzy alternate them. Ops… these are almost all the demos got by Snowdonia. 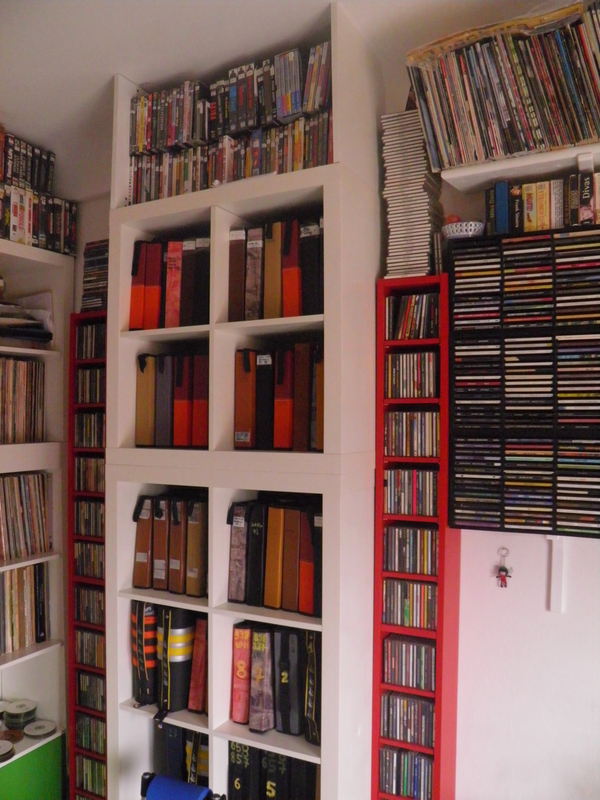 I confess that, due for space constraint, I thrashed all the jewel boxes and kept the CDs and the artworks. When I’ll be extremely rich (that will happen for sure) and I’ll move into a huge mansion, I’ll reassemble them all, to give all these pieces of art their original aspect. 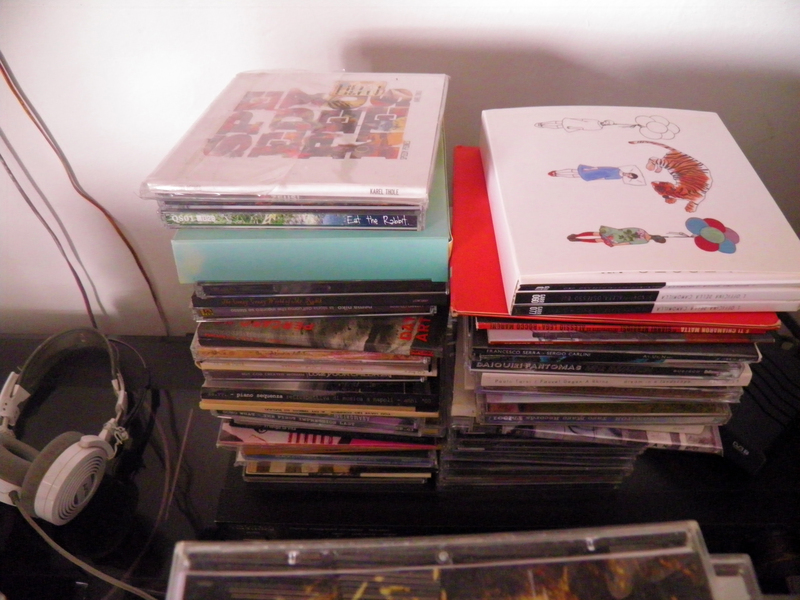 And what about the white labelled CDs that I see in many photos? Compilations? Dubbed CDRs? 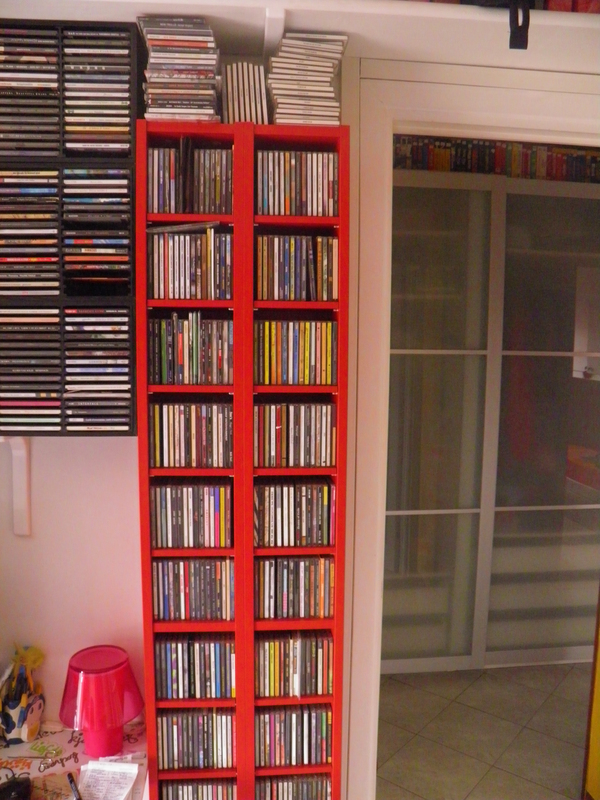 I suppose you refer to the CD spines of the encyclopaedia by Red Ronnie called “Quei romantici, scatenati anni ’50”. It belonged to my aunt, and when she died I’ve inherited it. It may sound silly but, thanks to that encyclopaedia, I’ve discovered – for instance – Riz Samaritano, one of the fathers of “demenziale” [may be translated into “demented rock”,] Italian music. Great! Me too I have a few of them… good stuff, indeed. The last question is about Snowdonia: you said you receive demos. And Snowdonia is a weird and strange label. What’s the weirdest and stranges stuff you got? Since 1997 we indeed received an enormous quantity of demos, even by singers or band that actually became ‘cult’ afterwards. Many of them were strange: electronic experimentation, industrial… I remember, in particular, one that was from Perugia. it was into a strange parcel with no sender address on it, and it had an astonishing artwork (that I still keep with me, as all the special packages: I’ve got rid only of “plastic” stuff). Inside that, there was a small paper that just said: “We hope you’ll enjoy it”. Nothing else. We’ve haven’t been able to get back in touch with them. Alberto Scotti is passionate about all kinds of music from the past, the present but above all about what is lost in time. He’s the co-founder of Maisie (an oblique pop band active for more than twenty years) and Snowdonia, a small but combative independent label, active since 1997.